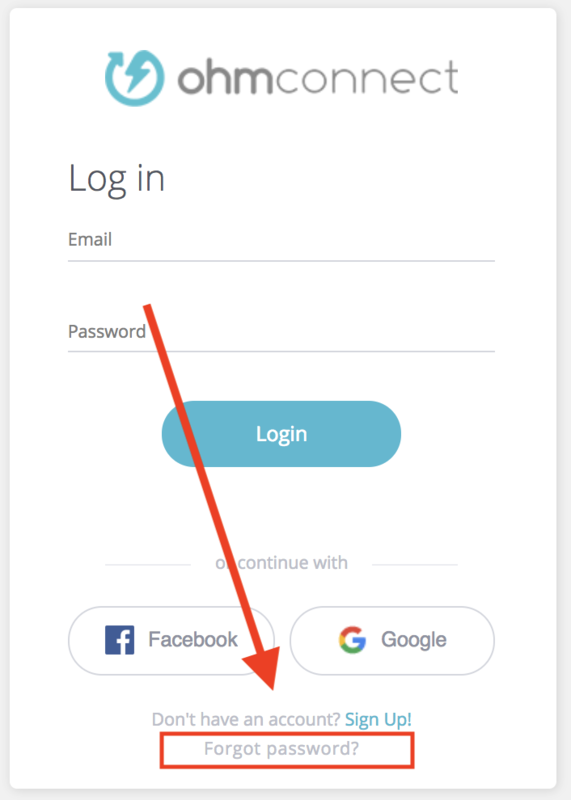 If you have forgotten your OhmConnect password, on the login page you can enter your username or email address, then click the "Forgot Password?" link at the bottom (see image below). You'll be prompted to enter your email address to reset your password. If you have forgotten your OhmConnect username, contact us so that we may help!